What is Computer Memory and its type - Technical All Star - Complete Knowledge of Technology. Do you have a computer memory of what is computer memory (What is Computer Memory)? We all are using computers, in our homes, in offices or in any other location. But have you ever thought that what is the device we need to operate these machines or to say, to store our data and information? If your answer is a memory device then you have rightly sold it. But do you know how many types of computer memory are? Just like we need a memory to memorize something or to do other things, there is a need for memory to have a computer or another device to operate them properly. But the thing to understand here is that there are many different types of memory. And whose functions are also different In such a case, it is very important for us to know all about them so that we can properly use them according to our needs. What is Computer Memory and its type So today I thought that all the doubts of the people are cleared through this article on computer memory today so that you do not need to go elsewhere and you can easily understand these technical concepts. So let's start without delays and know what is the fastest memory of the computer and how many types are there. Computer memory is a storage space in the computer, where the data that is processed and the instructions that are needed for processing are stored there. Computer memory is divided into many smaller parts of the number called cells. What is Computer Memory and its type Each location or cell has an unique address, which varies from zero to memory size minus one For example, if your computer has 64k words, then this memory unit has 64 * 1024 = 65536 memory locations. The address of this memory loacations varies from 0 to 65535. Memory is a very essential part of any computer because without it the computer can not even do a simple task. 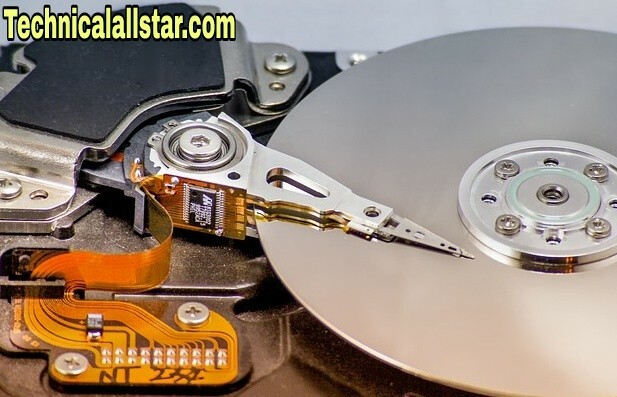 What is Computer Memory and its type There are two basic types of computer memory - Primary memory / Volatile memory and Secondary memory / non-volatile memory. Here Random Access Memory (RAM) is a volatile memory and Read Only Memory (ROM) is a non-volatile memory. People are always concerned about the type of Computer Memory. Which I would like to solve in today. There are three main types of computer memory seen. There are primarily three types of memory. This is the fastest memory of the computer. Cache memory is a very high speed semiconductor memory that speed up the CPU. It acts like a buffer between the CPU and the main memory. What is Computer Memory and its type They are used to hold parts of data and programs that are used often by the CPU. Parts of Data and Programs are first transferred from disk to cache memory by operating system, from which they can easily access the CPU. Cache memory is very fast compared to main memory. These consume less time in comparison to the main memory. These store programs that have to be executed within a short period of time. They store data for temporary use. Cache memory has limited capacity. Primary memory only holds the same data and instructions in which the computer is currently working. It has a very limited capacity and data is lost in it when power is switched off. This is usually made of semiconductor device. These memories are not as fast as the registers. The data and instruction that needs to be processed resides within the main memory. They are divided into two subcategories, RAM and ROM. What are the Characteristics of Main Memory? It is also called main memory or prime memory. This is usually a volatile memory. Data is lost in it when power is switched off. This is the computer's working memory. These are very faster than secondary memories. A computer does not run without primary memory. ROM is a full form Read Only Memory Let's know about some of its features. 1. It stores many critical information that is needed to operate the system, such as programs that are essential for the computer to boot. 2. This memory is volatile, meaning that even after the power switch is off, data is not lost in it. 3. It is used in embedded systems or where there is no need to make any changes to the programming. 4. They are mainly used in calculators and peripheral devices. 1. PROM (Programmable read-only memory) - It can also be programmed by the user. And once it was programmed, then the data and instructions which are in it can not be changed. 2. EPROM (Erasable Programmable read only memory) - These can also be reprogrammed. In order to erase the data, they are exposed to ultra violet light. Together, to reprogram it, you have to erase all the previous data. 3. EEPROM (Electrically erasable programmable read only memory) - The data is erased into the electric field, without any ultra violet light requirement. We can erase all the parts of the chip if we want to. This is the third and last memory of Computer Memory. This type of memory is also called external memory or non-volatile memory. This is very slow compared to main memory. Its main application is to store data or information permanently. CPUs can not directly access these memories, but they have to use input-output routines. The contents of secondary memories are first transferred to the main memory, and only then can they access the CPU. For example CD-ROM, DVD, Falsh Drive, Hard Drive etc. What are the Characteristics of Secondary Memory? These are magnetic and optical memories. It is also called backup memory. This is a non-volatile memory. It is used to store data in the computer. A computer can also run without a secondary memory. These are very slow compared to primary memories. I hope that you have a choice of what is Computer Memory (this is Computer Memory). My always efforts are to keep readers informed about the type of computer memory, so that they do not need to find any other sites or internet in the context of that article. Earning money Online bey Website ~ Best 10 Tips. What is LinkedIn? - Learn LinkedIn Par Account Kaise Banaye from these very easy ways! What is Google Codelabs and how to get admission?